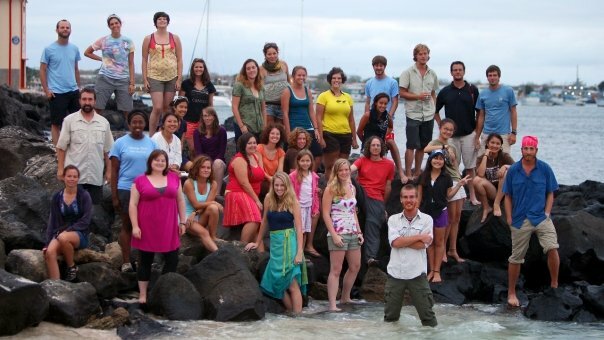 This summer, I spent a month in the Galapagos Islands with 20 other students and some professional coaches documenting the lives of the people who populate the Galapagos and programming the site that will showcase those stories: LivingGalapagos.org. My role in the project was to make a short documentary video and help design/program the site, as well as taking on some organizational and administrative tasks. It’s been a long and hard road getting this website completed just because of the sheer amount content and the varying content types included in the site (videos, interactive graphics, panoramic audio portraits, slideshows, still images), but we made it! I’ve never done so much Flash programming as I have in the past 4 months, but I’m really happy with how it’s turned out. A light painting we made around 3am while camping out at Puerto Chino on San Cristóbal Island. 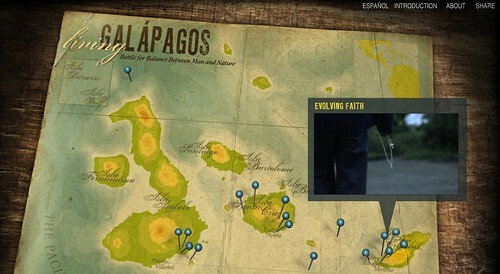 So check it out as of 9pm on Tuesday, October 13 to see what I’ve spent the last 4 months of my life working on and to check out the video I shot and edited called “Evolving Faith”/”La Fé Evolutíonando”. The golden hour at Playa Mann, the sea-lion-covered beach right across from the Galapagos Academic Institute of Arts & Sciences, which was our home base for the month. 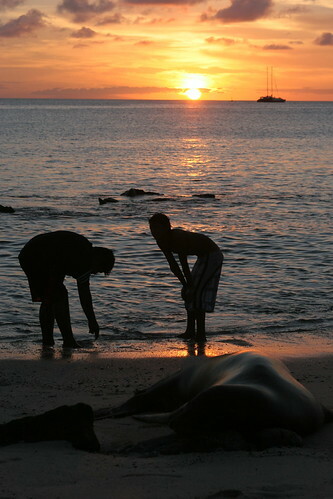 The most amazing sunsets I’ve ever seen. Our team on the rocks at Playa Mann. 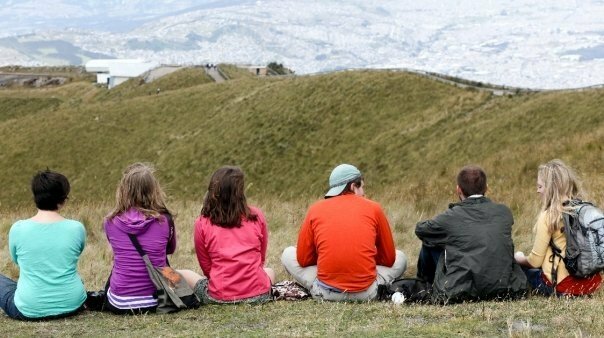 Entourage on top of a mountain in Quito, Ecuador, post-Galapagos. Also, check out some of my photos from the trip on Flickr!